Home of the best entertainment value in Smithfield! 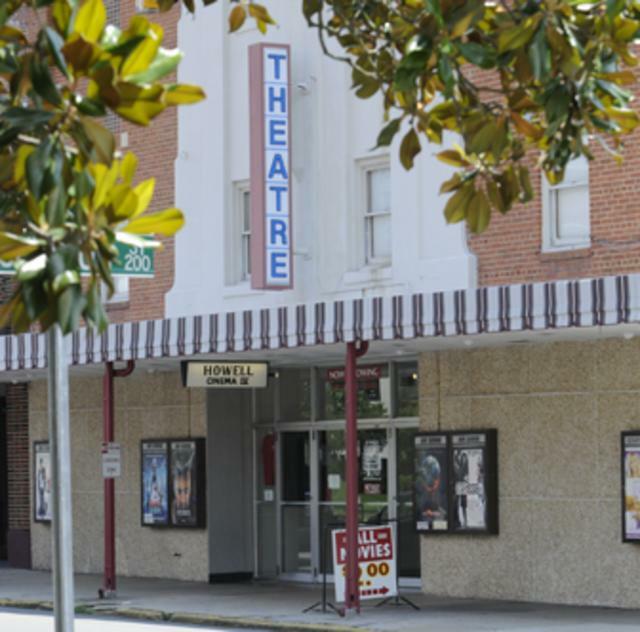 The Howell Theatre is a vintage circa 1935 movie theatre that has been in constant operation for 77 years, and is one of the few remaining downtown theatres in North Carolina. * Original restored Hardwood floors in all auditoriums. * High backed rocking seating in the two downstairs auditoriums with extra legroom. * Fixed seating in a stadium style for the two upstairs auditoriums. * Cup-holders for all seats. * Party room for up to 18 people for birthday parties (small additional fee required). * Open every day except Christmas, Easter and Thanksgiving. Hours: Open daily, check website for movie times.